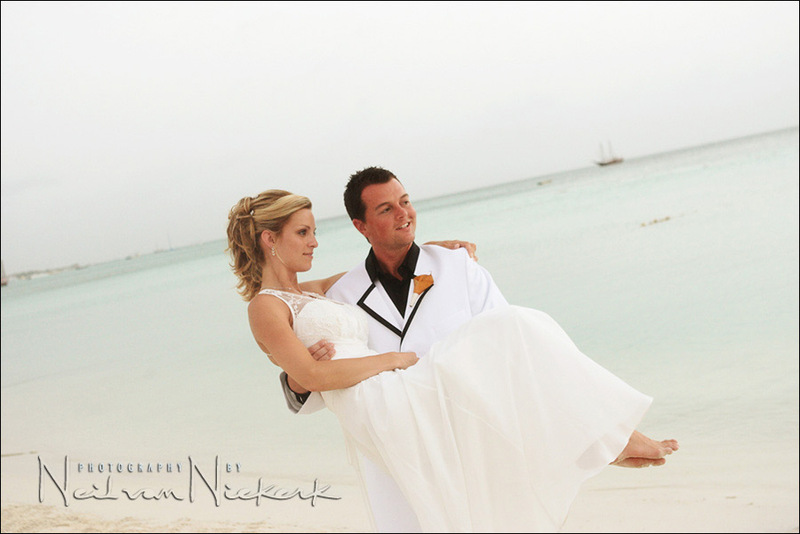 I was very fortunate in photographing Desha and Kyle’s wedding in an exotic a location as Aruba. 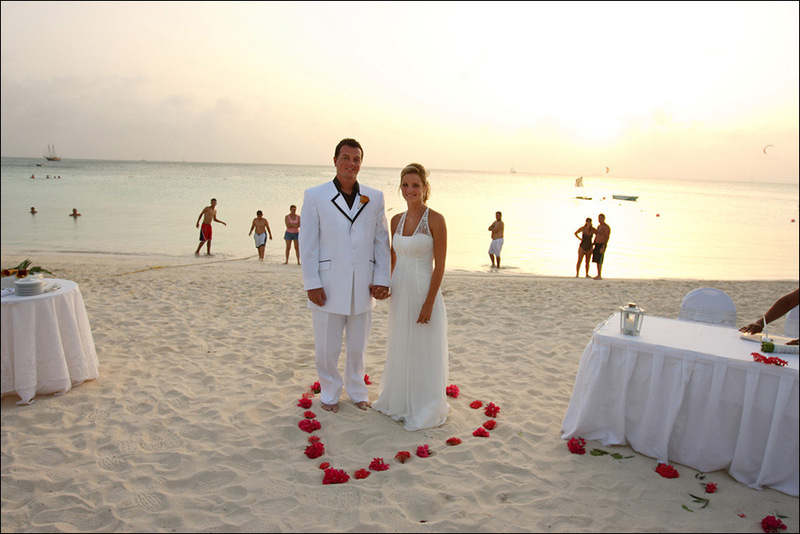 And really, if you’re going to get married, why not Aruba – a place where the number plates on the motor vehicles read, “One Happy Island”. Desha and Kyle’s wedding in Aruba started off with the civil ceremony on Monday morning – and then afterwards I did some portraits of the newly married around the center of Oranjestad. 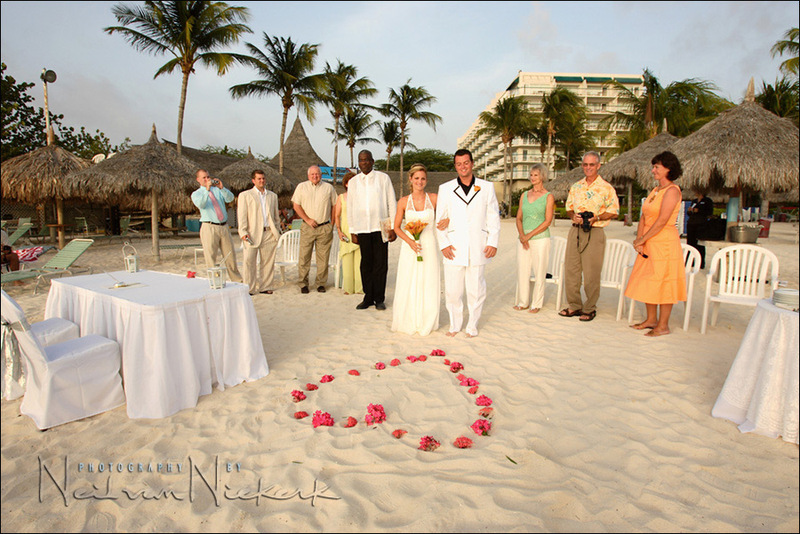 In the early evening they exchanged vows on the beach with just a few family members in attendance. 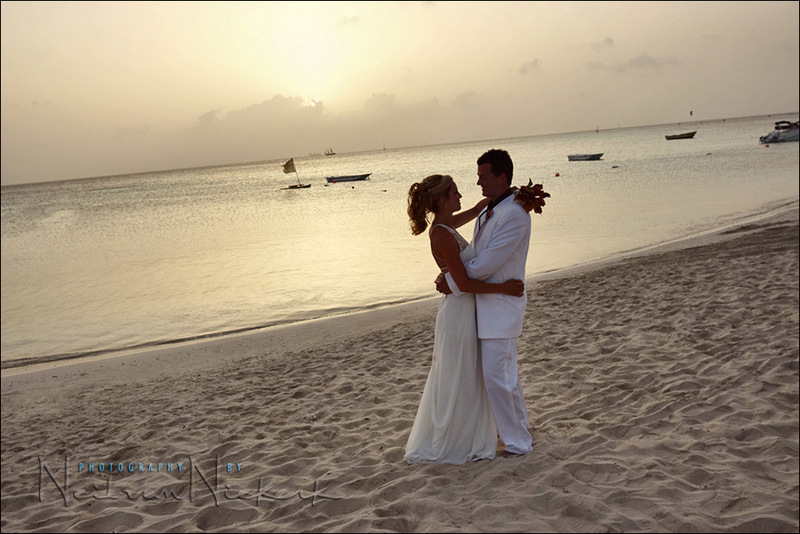 With destination weddings, it’s the best idea to use the time and opportunity there to get portraits of the bride and groom in the exotic locale. So the day after the wedding, we traveled around the more deserted areas of the island, we did some more portraits using the Aruba landscape. 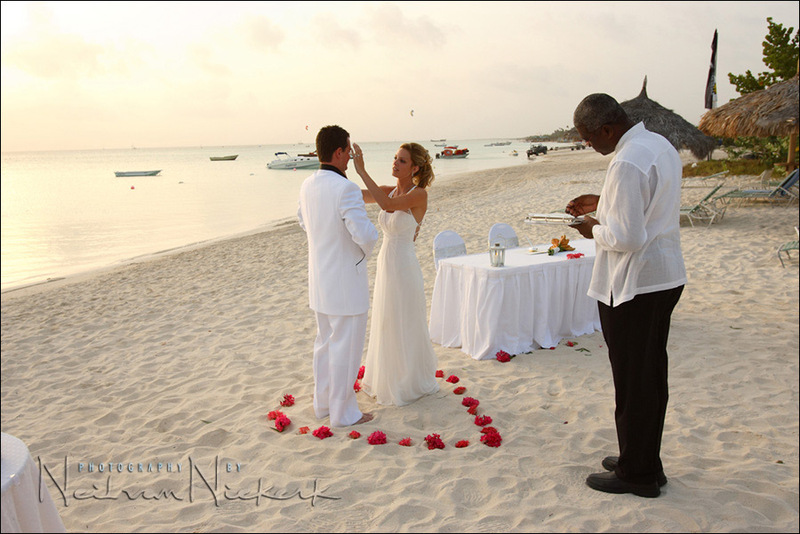 It is very easy to see why Aruba is a great choice for destination weddings. And I must admit that I’ve fallen in love with Aruba, for the quaint mix of colonial and island cultures – and the easy-going nature of life here. Congratulations and best wishes to you, Desha and Kyle – it was a wonderful experience! I really enjoy your website. You have a distinct way of capturing moments. I love all of your photos and hope one day to do as good a job as you. Neil, thank you for the comment. I would also like to take this time to thank you for providing us a wealth of knowledge that you have graciously taken the time and effort in writing and maintaining. Your website Planet Neil is a huge knowledge base of information that I really on heavily as I started making a career change towards wedding photography. Letâ’s also not forget about One Perfect Moment, WOW your work is truly inspirational, I love the way you try to keep your images as natural as possible without applying heavy Photoshop effects. Bravo to you Neil for showing us and reminding us what wedding photography is still about. It’s not about the flowers, it’s not about the shoes, it’s not about a dinner plate. It’s about the Bride and Groom, and your images convey that. Waving at you from across the river, no wait I’m at my day job, waving at you from Weehawken NJ. PS. Any chance in you providing us with your thoughts regarding the wedding photography business and trends as you see them ? As for trends in the wedding photography business, it would be easier to guage it from the talent on a forum such as the Digital Wedding Forum. I absolutely just love your photography,I’ve learnt alot about flash from the info you given us,thanx for that…I would love to do a one to one tutorial class with you but being all the way here in South Africa ..theres no chance..lol..So maybe its time for you to come home for a holiday..lol……thanks neil,good luck with everything. As the twig is bent so grows the tree. Your expressive image captures in this slideshow were to me a ‘graduate’ level lesson in photography. By simply viewing your images, I understand couple and wedding photography, more than I ever did before. Superb photos and you know how to capture events well..
Just had a look at the slideshow. Wow Neil! What an in inspiration . . . I am busy studying your pages on flash photography at the moment! Thank you for your site. I have found here much useful information. the first photo is stupendous! you have known how to gather a magic instant, compliment indeed!! My God, you do such amazing work! Are photographers born or nurtured? Neil, you have great talent and it is heartening to see you sharing your knowledge with us. You are indeed a “born” photographer! Technique may have changed these years but the style is inimitable. Keep up the great work.